Make a statement of your indoor/outdoor decor "with this beautiful, Tall Dune Planter in Haze. The attractive silhouette and timeless pattern allow this piece to coordinate perfectly with existing settings, whether traditional or modern. Looks stunning when set against a garden backdrop. 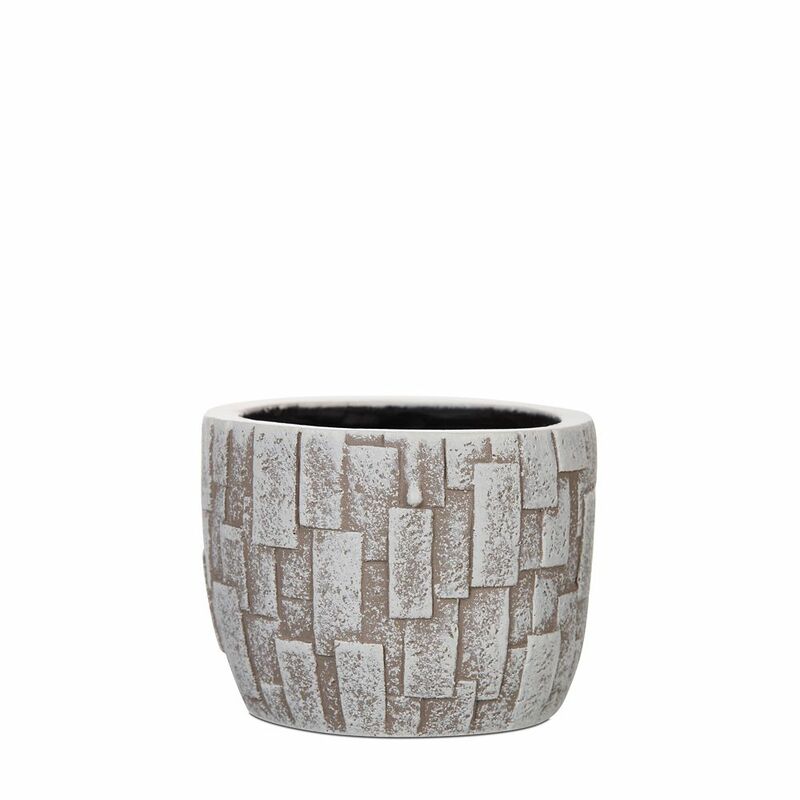 Egg planter stone II 3.5x3.5x3.1 inch ivory A stylish collection and wide assortment of beautiful planters with a modern touch and clean-lined finish while adding a welcoming refreshing touch to porches, entryways, decks, poolside and indoors.